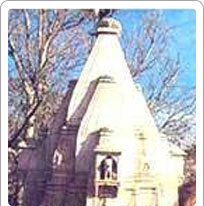 Kolyatji is a temple complex and a pilgrimage centre of Hindus. Located at 50 km from Bikaner, it is about an hour's distance in travel time. There are a number of temples, bathing hats and pavilions in the complex. The complex is built besides a lake and a dip in the lake on Kartik Poornima in November is considered auspicious. The importance of the temple lies in the legend associated with it. It is believed that Kapil Muni (a saint who advocated the Shankya yoga of the Hindu philosophy) while travelling towards northwest, was impressed by the serenity of this place and decided to perform tapasya (penance) here for the redemption of the world.